Since 2006, Copyblogger has been your trusted friend for succeeding at digital marketing and sales. We’ve provided guidance to millions of online content creators, digital entrepreneurs, professional marketers, and freelance writers. We continue to believe WordPress is the best foundation for anyone who wants to build a successful home base for their online presence. It’s certainly worked for us and millions of others. Copyblogger launched on WordPress. Copyblogger principal Brian Gardner started the entire WordPress premium market back in 2007, and Copyblogger founder Brian Clark popularized the first premium design framework in 2008. With this foundational expertise, Copyblogger knows WordPress as well as anyone. We know which hosts, themes, and plugins you should trust to power your website — and which ones you shouldn’t. What are the best options for WordPress hosting? Which WordPress themes can you trust? What kind of security tools will protect your site? Which SEO tools deliver benefits that are worth the price? We’ve distilled our best and most current WordPress recommendations to answer all these questions and more. If you’re using WordPress to build an audience or support a business (or planning to), this is your one-stop-shop for all the basic tools and services you absolutely must have. Disclosure: We are committed to researching, testing, and recommending only the best WordPress products and services, based on our direct experience as pioneers in the industry. Copyblogger may receive commissions from purchases made after visiting links within this Buyer’s Guide, at no additional cost to you. Our recommendations are made without regard for whether a commission is offered, or for the amount of commission. Besides the spark of inspiration that drives you to launch a website in the first place, there is nothing more important and foundational than the hosting provider you choose. A poor choice can doom you to unreliable performance, outlandish overage fees, and unresponsive support when something goes wrong. But choosing the right managed WordPress hosting will set your site up on the firm foundation it needs to drive the results you’re hoping to achieve. Cost: Which host gives you the best value for your budget? Traffic and Storage: Who best meets your projected needs for traffic and storage, and what are the overage policies? Updates: Which host gives you the most peace of mind when it comes to regularly updating WordPress? It shouldn’t come as a surprise that we recommend WP Engine for managed WordPress hosting. Back in June of 2018, WP Engine acquired the WordPress hosting platforms that we pioneered — Synthesis and StudioPress Sites. Just as we felt that WP Engine would be a great fit for all of our hosting customers then, we continue to feel that WP Engine is the best fit for serious WordPress users who are looking to drive sustainable results with a WordPress website. We’ll always maintain that quality hosting is worth the investment at any stage (so see above). But if you’re apprehensive about cost, we understand. BlueHost is a popular option as a budget WordPress host, but our budget recommendation is SiteGround. They have a plan starting as low as $3.95/month that has everything you need to get your big idea off the ground. And they have bigger plans you can scale up to as you grow. There are a handful of proven options at the enterprise level, but we’ll stick with WP Engine as our recommendation for an enterprise solution as well. Rather than shoehorning you into a predetermined package, WP Engine excels at putting together a custom package that will meet your needs without forcing you to pay for resources you aren’t going to use. If you’re using WordPress, you need a theme. And while there are plenty of options out there for free WordPress themes, there are good reasons why serious WordPress site owners eschew free themes and opt instead for a premium theme for their site. Updates: WordPress is constantly being updated (and many times these updates are critical for security), which means that the themes and plugins you use need to keep up. Premium themes have a far greater likelihood of being updated well into the future, helping to keep your site safe from crashes and invasions. Support: You may have questions about how your theme works. You may issues with how your theme interacts with your content and plugins. Having access to experts who can help you is one of the most valuable benefits of paying for a premium theme. Quality and Performance: In the vast majority of cases, a premium WordPress theme is going to look nicer, function better, and have more options than free themes. Plus, premium themes tend to have better code quality than free themes, meaning your site will typically load faster and look better on mobile devices. Community: You may be looking for suggestions about how to make a certain customization. You may even want someone to bounce strategy ideas off of. Many premium theme frameworks have communities around them that you can join and learn from. The ROI is astronomical: All this talk about “paying for” and “investing in” premium themes can make it sound like they cost an arm and a leg. They don’t. In most cases, it’s more like a finger or two. You can typically get a good theme for $100-150, and oftentimes theme companies sell all-inclusive packs for just a few hundred dollars more, giving you a ton of options and flexibility. When you consider the improved experience you’ll deliver to your visitors, plus the peace of mind of having perpetual updates and support, the long-term ROI of the relatively small investment in a premium theme is pretty staggering. We’ve been recommending the Genesis Framework by StudioPress for the better part of a decade, and we’re not about to stop now even though we sold the business to WP Engine. StudioPress founder Brian Gardner pioneered the premium WordPress theme marketplace, and the Genesis Framework powers more than 500,000 websites. Genesis is built on clean, efficient, rock-solid code, and the developers at StudioPress have built an impressive and versatile portfile of child themes to lay on top of the framework that fit pretty much any WordPress use case you can come up with. Best value: Sign up for hosting with WP Engine, and get Genesis and every StudioPress theme for free with your hosting account. If you are ready to invest a more significant sum of money in getting a fully customized Genesis theme built for your website, you should consider hiring a developer with extensive experience working with the Genesis Framework. Browse StudioPress’ official list of recommended Genesis developers. Which is why standalone website security is worth considering if you simply cannot afford for your website to be at even moderate risk for the many nefarious intrusions and harms that can happen to a live website. Again, check to see what security features are included with your current hosting. If you find it’s unsatisfactory, then Sucuri has Basic, Pro, and Business plans that should fit your individual needs. Each plan has a recurring fee attached to it, but remember that part of what you’re paying for is rapid, competent response should anything dire occur. And in that moment, almost any recurring fee will feel worth it. Sucuri’s plans do require a recurring fee. 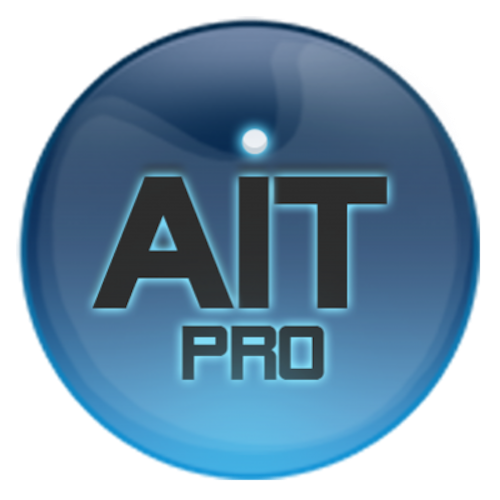 If you’d rather pay a single fee to get a suite of security prevention services, then then Bulletproof Security Pro by AIT Pro is worth considering. It’s a one-time fee of $69.99. Note: their website is not the most aesthetically pleasing, but they do provide a ton of detail about what their package provides. They also have overwhelmingly positive reviews in the WordPress plugin repository. The company behind WordPress, Automattic, has their own WordPress-specific security solution. It’s called VaultPress, and it has been rolled up into the Jetpack plugin. Are you preparing to launch a new website? Then the first thing you will need to do, even before you get your hosting, is to get a domain name and DNS hosting. And while it can sometimes feel like domain names are just a commodity, it makes sense to shop around because prices for the same domain can vary widely from site to site. Besides price, two other important factors to consider when buying a domain are customer service and user interface. You shouldn’t need to interact with your domain registrar much beyond the initial purchase and setup, but when you do you want it to be a smooth and simple process. Otherwise you’ll get unwanted headaches when you all want to do is make a few simple edits or changes. There are many, many options to choose from, so we’ve narrowed it down to two options for you. Trust and reliability are important factors when choosing a place to host your domain and DNS, and Namecheap has both in spades. They’ve been around since 2000, and they have as solid a reputation as any provider out there. GoDaddy has also been around for a long time as well, but has seen its reputation accrue plenty of tarnish over the years — mostly because of poor marketing, not necessarily poor quality of service. They remain a solid choice for domains and DNS. Once your website is live, secure, and dressed for success, you want as many people in your target audience to visit as possible. And while you will want to leverage your existing network and social media to help drive traffic, few endeavors will yield more reliable long-term results than optimizing your website for search engines. Which brings us to the standard piece of Copyblogger SEO advice that we have been espousing since this website went live: optimizing for human readers is optimizing for search engines. So make sure that any tool or plugin you use will not detract from the experience you’re delivering to your audience members. If it does, it won’t provide the long-term SEO benefits you desire. Simple, automated ways to structure the HTML code and meta data of your pages so that search engines clearly understand what your content is about. Insight into the language that your targeted audience members use when searching for the topics that you cover on your website. Analysis of the competitive landscape around the kinds of search terms you want your website to surface for. Anything beyond that is likely to get you in trouble or be a waste of your money. You don’t need black magic. You don’t need fairy dust. And you don’t need disingenuous promises of quick results. SEO is much more farming than hunting. Which is why optimizing your site for search engines is a fairly straightforward process, but one that you have to be disciplined enough to do right and do well over time. If you understand this, you will succeed. If you don’t, you’ll waste time, money, and opportunity. 20,000+ WordPress users can’t all be wrong, can they? That’s how many people have given the Yoast SEO plugin a 5-Star review in the WordPress plugin repository. Over 5 million WordPress users have it installed on their websites. In short, Yoast SEO does it all. You can install Yoast SEO on your website for free and get many important standard SEO features, or you can invest less than $100 to get a boatload of additional feature plus support with Yoast Premium. In addition, you can get more specific plugins like Video SEO, Local SEO, News SEO, and WooCommerce SEO. In addition a plugin like Yoast that you install on your site, you may want to invest in a tool that will help you gain insight on keyword usage and the competitive landscape you are operating in. This is a must if you are doing integrated search marketing with paid ads. SEMRush is an all-in-one marketing toolkit that is useful for anyone serious about driving more traffic to their website. You work too hard to waste targeted traffic. That’s why you need to be building an email list. But people aren’t going to sign up for your email list out of the goodness of their hearts; they are going to sign up because you win them over with a valuable offer. This is where online courses can deliver significant value. It can drive significant list growth. It can further establish your authority. It can lead people into the next stage of your funnel. And, of course, you don’t need to limit your thinking to only free courses. Paid online courses are a proven way to leverage your expertise into revenue — even recurring revenue, if your course comes with ongoing education or community components. But even the most enthusiastic online course endeavors can be derailed by clunky software that is difficult and annoying for you to use, or that renders a course with a poor user interface for students. So you want to choose wisely when installing an online course (or “LMS” for learning management system) plugin or signing up for an all-in-one SaaS tool. There are plenty of good reasons why trusted experts like Chris Lema recommend WP Courseware so highly. It has everything you would want in an online course creator (a drag-and-drop builder, drip content, quizzes, and so much more), plus it has a simple pricing structure and great support. LifterLMS is another good WordPress plugin for creating online courses. The features are similar to WP Courseware, but the pricing structure can be a bit confusing. It does come with a lot of add-ons for improved flexibility. Our standard recommendation is always to host your content on websites that you own, rather than engaging in digital sharecropping, so that you maintain 100% control of your content, its distribution, and your revenue. A good membership plugin with help you handle all of these details and provide you with a basic membership structure for your site. A great membership plugin will do this while being easy and intuitive to set up, and while providing a clear interface for your users. MemberPress may not be the cheapest or easiest to use, but it checks almost every other box you could want in a membership plugin. It provides the most flexibility, and you have the peace of mind of receiving consistent, reliable support. Restrict Content Pro is another great option if you are looking to save your most valuable content for your most valued members. It’s cleanly coded and has a number of add-ons that can make it even more powerful. If you want to add membership functionality to your website, but you’re not ready to pay for it yet, you do have a couple of free options. Members by Justin Tadlock is free to use, and has a very high user rating in the WordPress Plugin Repository. With the links above, you’ll have all of the major bases covered for creating a reliable, successful, even profitable WordPress website. But there will still be some gaps in terms of features and functionality that you should consider filling. The rest of these plugins will help you complete the picture, so you have a WordPress website that is worthy of your ideas, your effort, and your audience. Want to super-charge the speed and performance of your website? Caching has long been one of the best ways to do it. And no caching plugin is more widely used and trusted than W3 Total Cache. You will certainly need a form on your contact page, but there are myriad other uses for a flexible, stable, easy-to-use form plugin. WPForms is feature-rich but also friendly for beginners. When you’re ready to get serious about conversions — whether it’s turning readers into subscribers, or prospects into customers — then it’s time to start creating landing pages. A good landing page plugin layers on top of WordPress’ native page feature to give you an intuitive drag-and-drop tool for creating elegant, effective landing pages. And Beaver Builder is as good as it gets for a WordPress landing page tool. One of the benefits of WordPress for non-designers is being able to find a theme, install it, and then not worry about design. But even the best out-of-the-box themes can sometimes leave you wanting to make subtle changes here or there so that the theme better fits your brand and style. That’s where having a plugin to help you edit CSS visually comes in handy. CSS Hero helps you do exactly that. You want to make it easy for people to share your content. It also helps to display share counts on your posts so that new visitors can see how popular your content is. The folks at Warfare Plugins have two options for you: a free social plugin, and then Social Warfare Pro. It’s what we chose when we redesigned Copyblogger.com. WordPress creates simple image galleries by default, but if displaying images is an integral part of the content experience you are delivering you may want more than just the native features. Enter Envira Gallery, which helps you easily create responsive image and video galleries from right inside your WordPress dashboard. If the default WordPress comment system isn’t robust enough for your audience, and you want to add a social and ranking element to the way comments are displayed, then a comments plugin may be right for you. Disqus has been around for a long time, and many big sites trust it with their WordPress comments. It’s free to get started with.